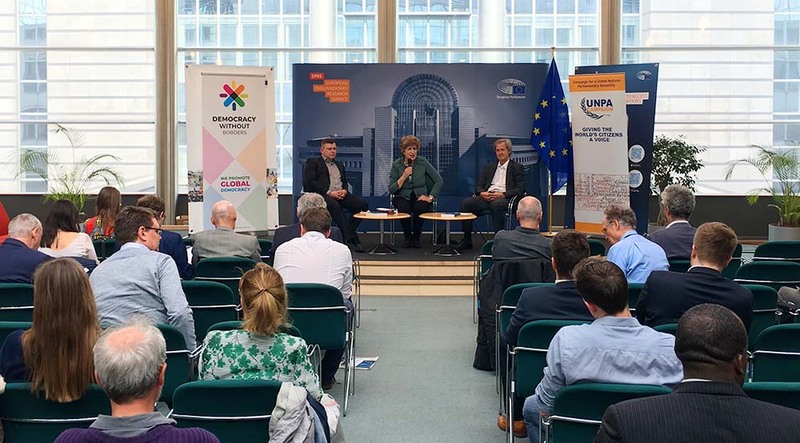 The event was introduced and moderated by European parliamentarian Maria João Rodrigues who serves as President of the Foundation for European Progressive Studies which supported the publication of the book. 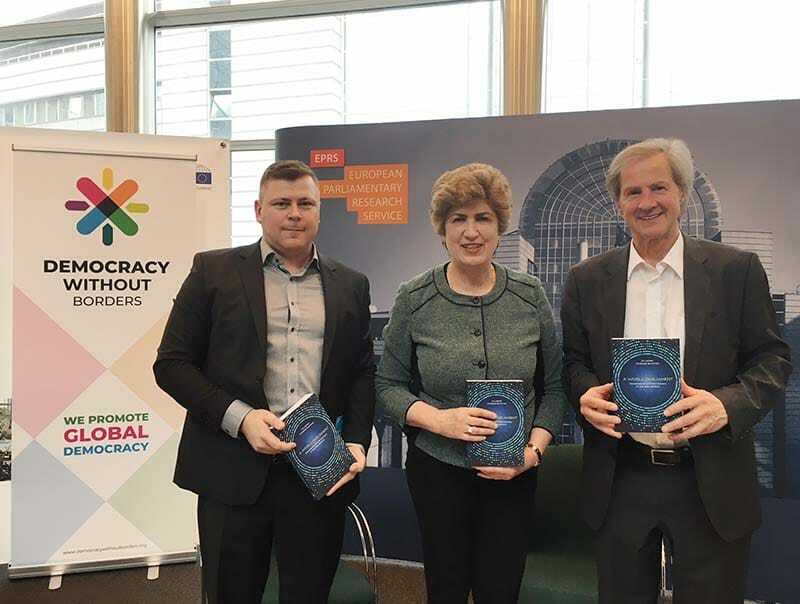 In the introduction Rodrigues highlighted the broad spectrum of issues covered in A World Parliament which includes planetary boundaries, tax policy, the global financial system, nuclear disarmament, global food security, the elimination of poverty, global inequality, and others. Rodrigues found that the case for democratic regulation of global challenges based on an elected world parliament was convincing. In particular, the former professor of economics emphasized that this approach would contribute to ”reducing complexity” in today’s highly fragmented and chaotic world system, a topic which is elaborated on in one of the book’s chapters. The necessity to manage global common goods like the atmosphere in a more effective way was emphasized by Jo Leinen. He summarized this point by saying that ”global problems require global solutions”. The long-time European parliamentarian refered to the development of the European Parliament as an example to draw upon when conceiving of a world parliament. Like the European Parliament the latter would develop over time and wouldn’t be created from one day to the next. ”The starting point is a consultative United Nations Parliamentary Assembly which could be composed of delegates from national parliaments”, he said. ”We need a decision of the United Nations General Assembly and I think it is possible to achieve this not too far in the future”, Leinen responded to a question from the audience on when he believes a UN Parliamentary Assembly may be created. Closing the event Maria João Rodrigues commented that in her opinion the book was ”great and courageous” and an important contribution to progessive thinking. ”It proves that even if a world parliament may seem an utopian idea, it’s also a practical one”, she said.